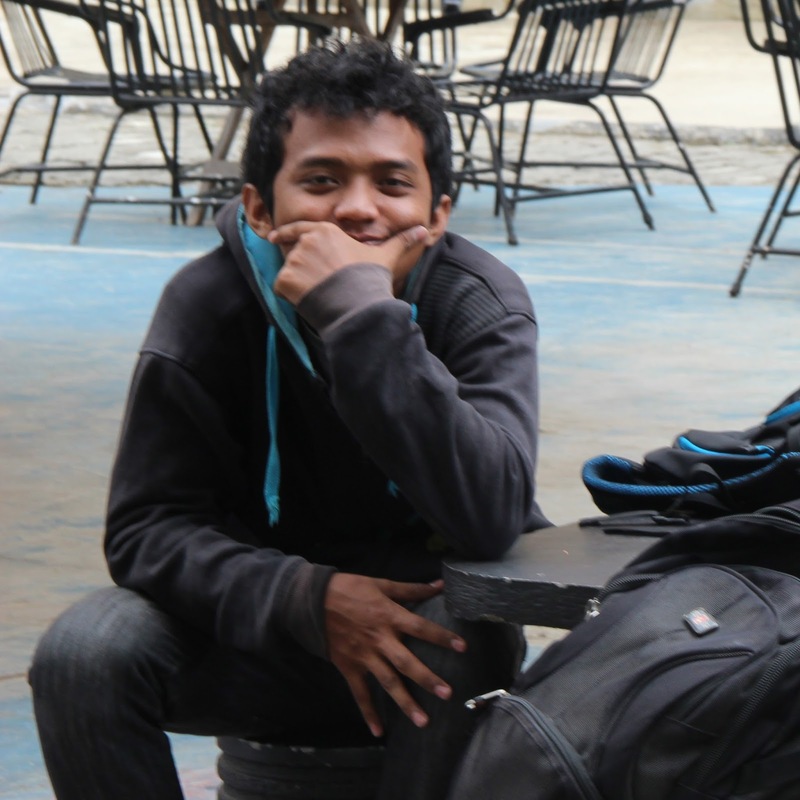 Selamat datang nih buat teman - teman yang dah blogwalking ke blog sederhana saya. Kali ini saya mau berbagi nih, software gratis untuk kompiler bahasa C/C+. Software yang satu ini nih, walaupun tampilannya standar namun kalau saya bilang sih dah dapat 5 jempol. Nah buat teman - teman yang hobby bikin program, kompiler yang satu ini patut dicoba. Dan versi standar, gratis dengan fitur sederhana. 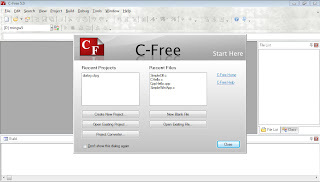 ...Home > Programing > C-Free 5 full C-Free 5 full Posted on Selasa, 20 September 2011 by Black_khonel homepage : www.programarts.com C-Free is a professional C/C++ integrated development environment (IDE) that support multi-compilers. 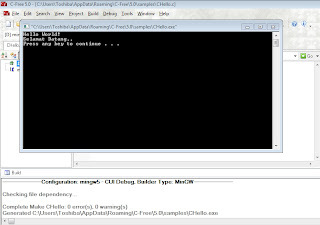 Use of this software, user can edit, build, run and debug programs freely. 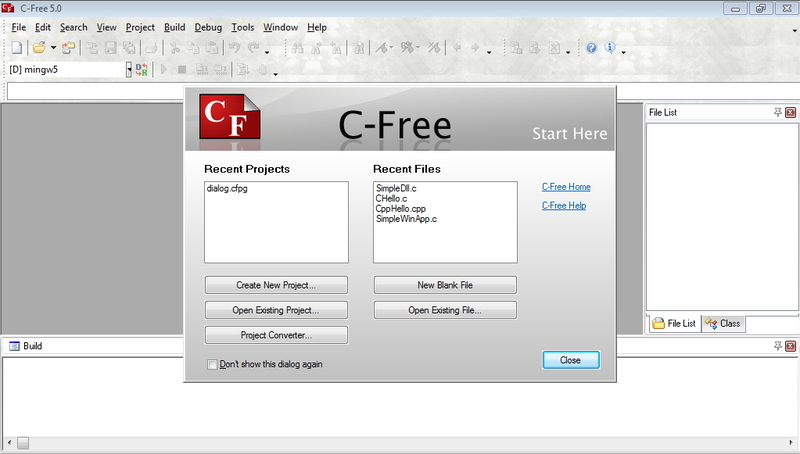 With C/C++ source parser included, although C-Free is a lightweight C/C++ development tool, it has powerful features to let you make use of it in your project. 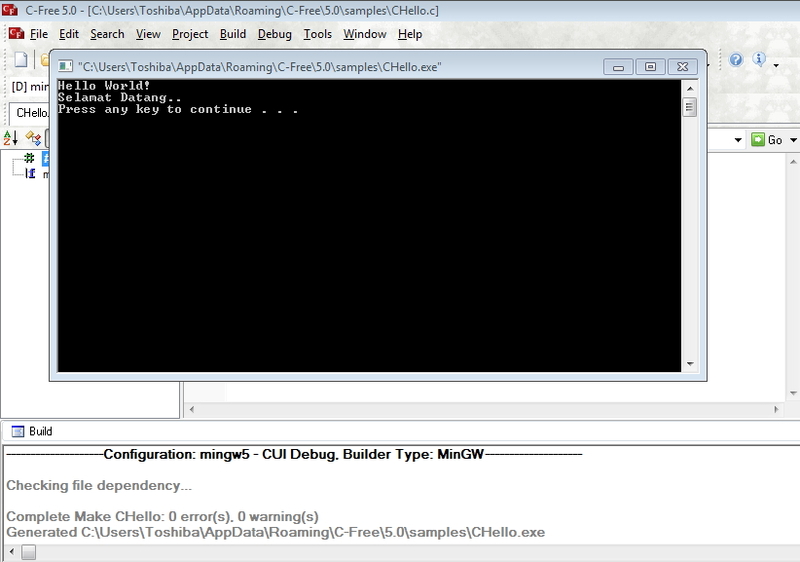 Support Multi-compilers Now support other compilers besides MinGW as following: MinGW 2.95/3.x/4.x/5.0 Cygwin Borland C++ Compiler Microsoft C++ Compiler Intel C++ Compiler Lcc-Win32 Open Watcom C/C++ Digital Mars C/C++ Ch Interpreter more compilers will be supported in the future version. Enhanced Syntax Coloring Highlight Data types (Class/Struct/Union), Functions, Variables, Constants in C/C++ code : Smart Input Suggest input when typing code : Powerful Code Navigation Symbol Tree is provided. Jump to Definition, Jump to Declaration and Find Reference, with these commands, navigate your code as you wish. keren gan.. trims bgt deh..
TENGKYU BRO ! UDAH ANE COBA, MANTAP! !